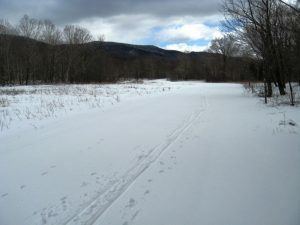 This entry was posted in Midd Blogosphere and tagged Brooks Road trailhead, Hill Climb, Ripton, Ski Touring, VAST on January 7, 2014 by Jeff. 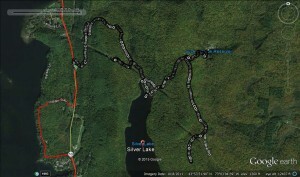 This entry was posted in Midd Blogosphere and tagged Hill Climb, mud, Omya, Running, VAST on March 18, 2012 by Jeff. Over the years I have had the pleasure of spending a considerable amount of time just over the mountains in the Mad River Valley. 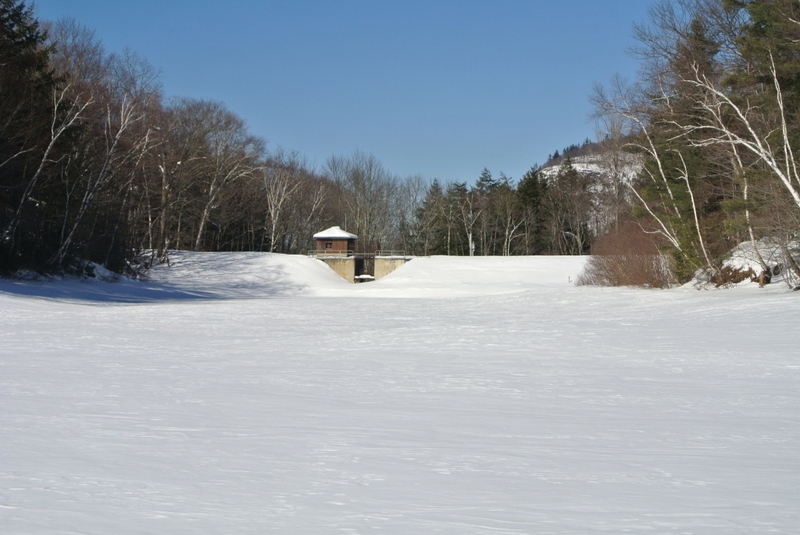 While I was visiting family in Waitsfield over the holidays, I thought it would be fun describe a short run over there, especially since it is such a pleasant little community with a lot to offer the outdoor enthusiast, and is only about an hour from Middlebury by car. 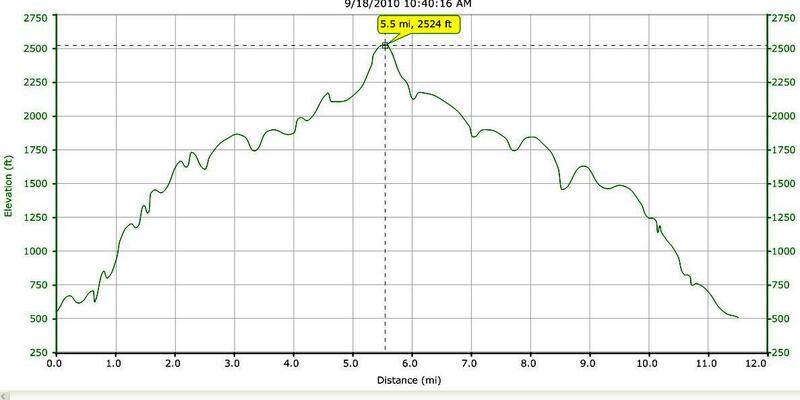 My previous running in this area has been mostly on the far side of the valley, on the smaller range east of the main ridge of the Green Mts., so I thought I would share a route which begins up on the ridge just to the east of Rt. 100 on the valley floor. 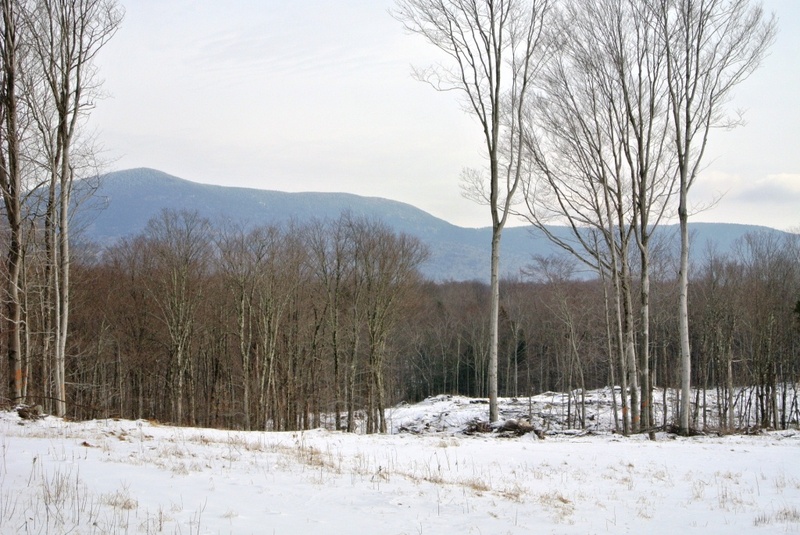 The additional allure to running on this side of the valley is the great view it offers of the three major ski areas, Sugarbush, Mt. 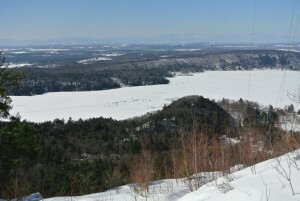 Ellen (technically part of Sugarbush) and Mad River Glen. The rather arbitrary starting point for this run can be reached by turning off of Rt. 100, through the Waitsfield covered bridge, followed by a left turn onto Joslyn Hill Road, and a right turn onto the Cross Road. There is ample room along the shoulder of the Cross Road near its intersection with the Common Road (the main N-S road on the hillside on this side of the valley) to park your car. Heading north on The Common Road (the mountains should be on your right) brought me past the von Trapp farm and greenhouse. 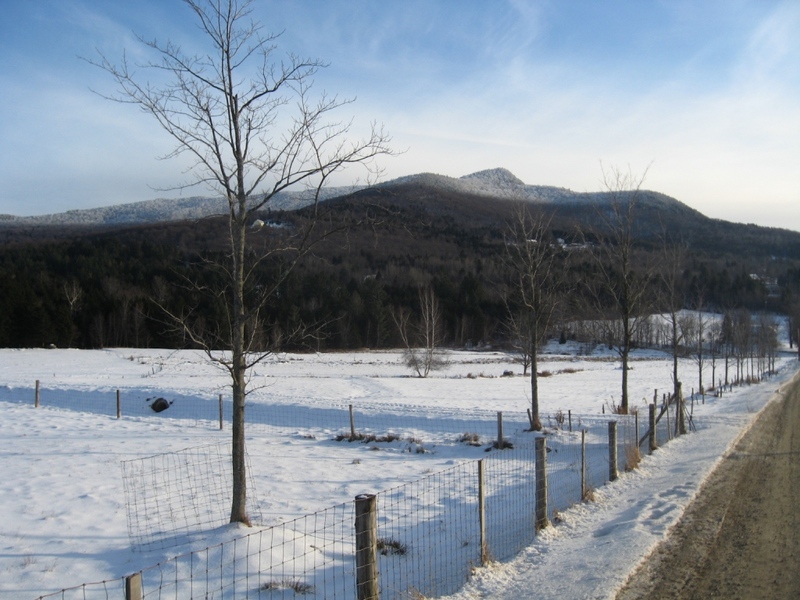 Yes, this is owned by a member of THAT von Trapp family – think about how many kids Maria and the Captain had, and then envision how many kids their kids must have had……and you get the picture why the von Trapp name is so common in the Mad River Valley and Stowe! 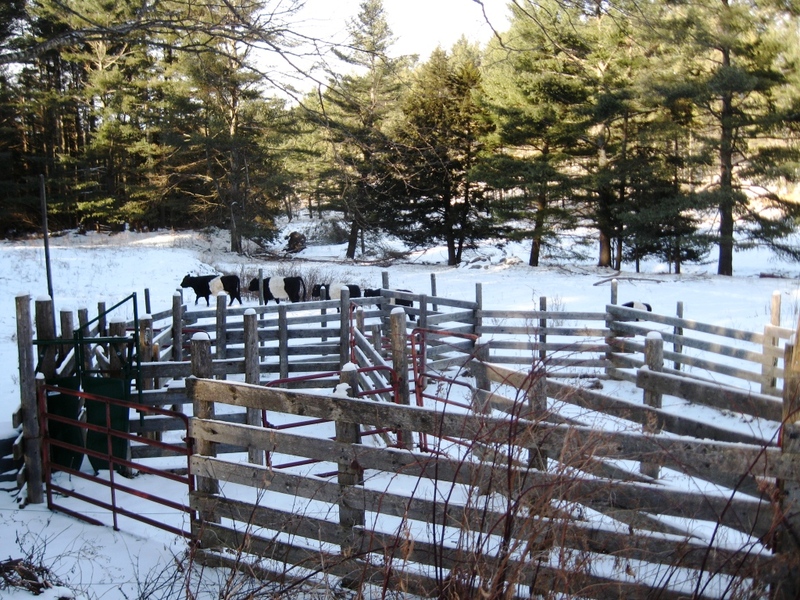 That said, their farm has one of the best views in the state from accessible from a car or bike. Shortly after passing the greenhouses, I arrived at the former site of the Waitsfield Common village, with its characteristic village green, older homes, and hillside graveyard. I refer to this as the “former” site of Waitsfield Common due to the fact that all of the commercial activity in the town has moved down to Waitsfield proper, a mile or so down the hill. Immediately after the common, I took a right turn towards the mountains on East Road, another easy-on-the-knees dirt road. 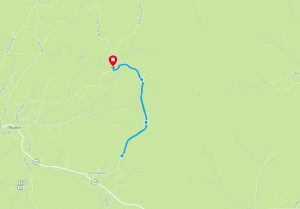 A gradual climb of about a mile, past small hillside farm led to a point where the main road goes to the right, and a rarely travelled dirt road continues straight towards the mountains, albeit with a short steep dip in elevation. At the bottom of this dip is a pretty little valley which is another favorite mountain spot – its coniferous forest open meadow, and meandering stream normally looks more like a Colorado than Vermont, but a small herd of cows (heading north, of course) juxtaposed a little bit of New England on the pastoral scene. Climbing back into the forest after crossing a small bridge, and taking the right fork in the now derelict road led me up a steeper incline, past a series of higher meadows, each with its own uniquely spectacular vistas, As the road bore left to the north, I could see the wreckage of a few derelict homes and cellar holes. After about a half mile along this segment, I chose to return, but past explorations following this trail further have led me to the top of the mountain ridge between Scrag Mt. and Mt. Waitsfield along what appears to be an abandoned stage road (which might be a VAST snowmobile trail at present) leading to Northfield. 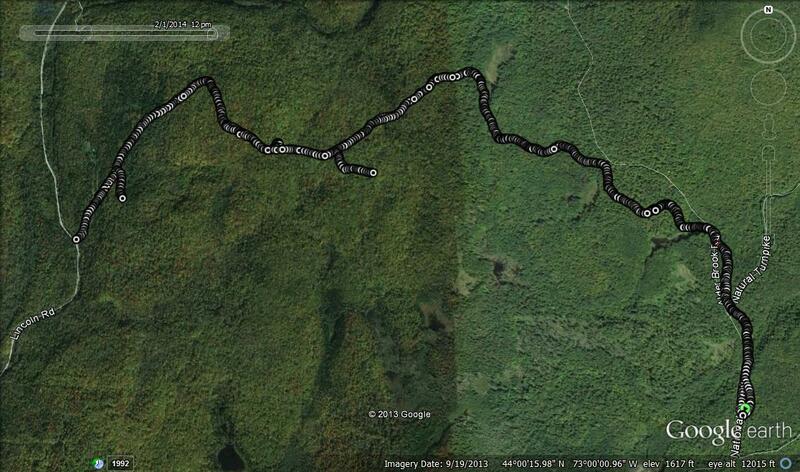 Perhaps I will have to come back to describe that continuation of this route next summer! Returning by the same route brought me back to my car after a five mile run which was easier than expected due to the still thin Christmas Day snow cover. 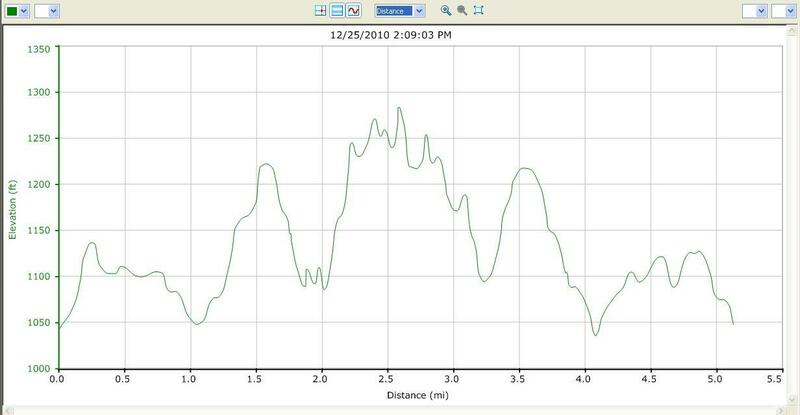 There were a few modest ups and downs, but not enough to really call this a hill climb route. 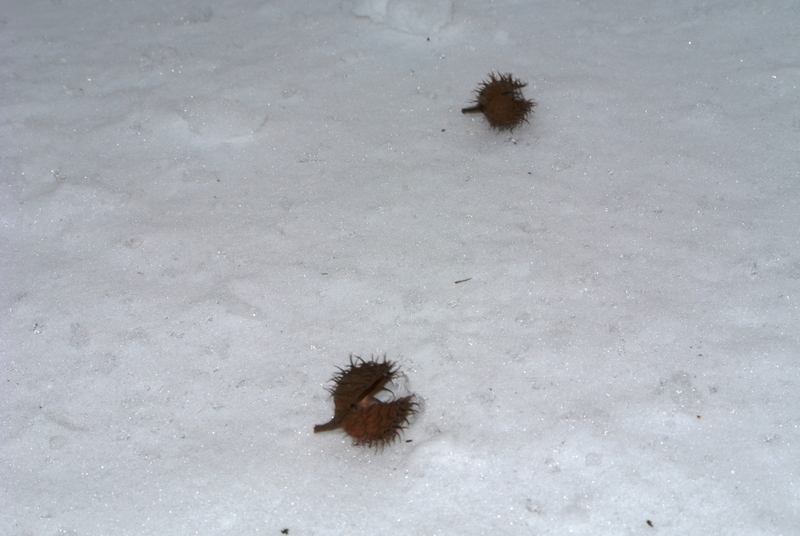 Happy New Year everyone, and THINK SNOW! 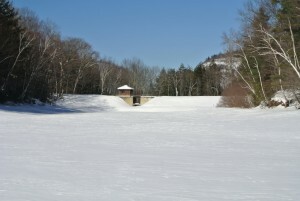 This entry was posted in Midd Blogosphere and tagged Mad River Valley, Running, VAST, Waitsfield Common on January 2, 2011 by Jeff. After the last posted run, which featured running commentary on the Robert Frost Cabin and Robert Frost Trail, it only seemed fitting to continue on with the Frost theme with a run up to the summit of Robert Frost Mountain. 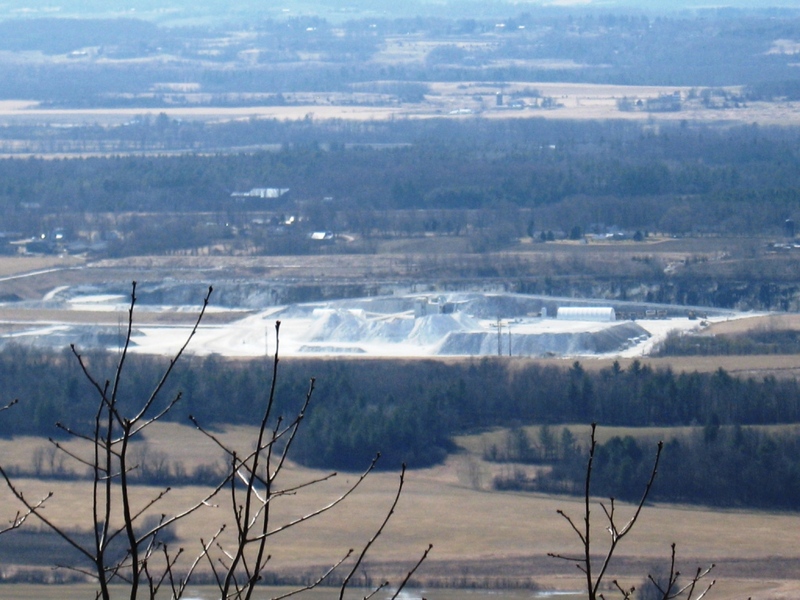 While many Middlebury-ites know of, and have explored the former, relatively few know of his namesake summit. Where exactly is Robert Frost Mountain? 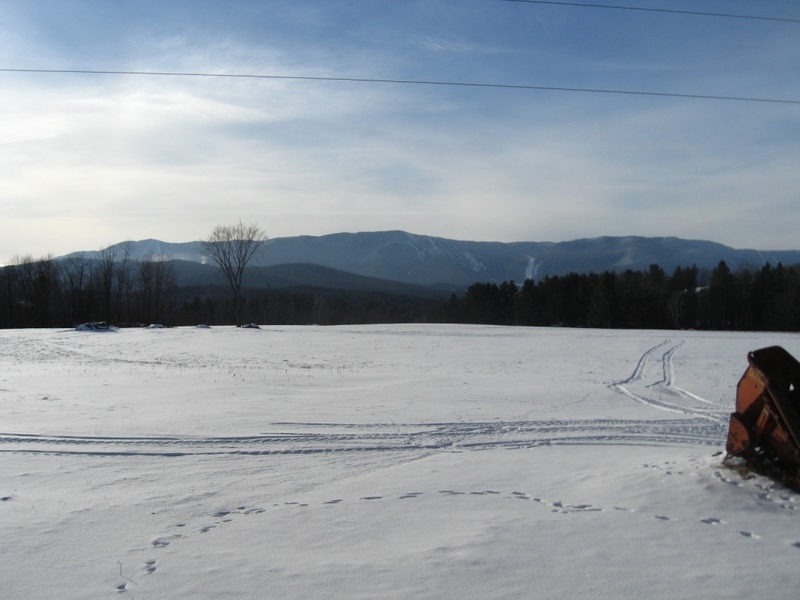 When looking towards the mountains from town, Robert Frost Mountain is the rounded summit high point just a few miles north of the East Middlebury and Rt. 125. 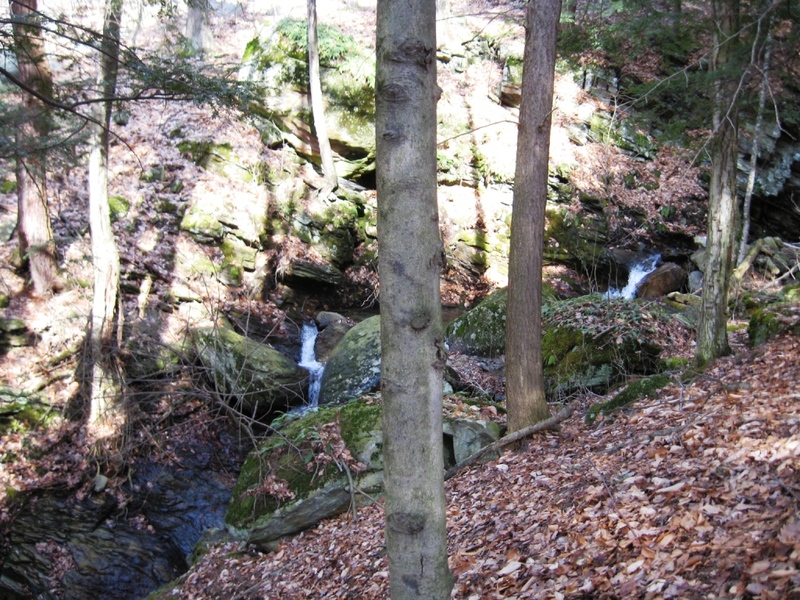 While it is not a particularly dramatic summit, it is a pleasant place to visit with good, albeit wooded views, and its paucity of hikers (or runners). I have no idea if Robert himself ever ascended to its heights, and I rather suspect not. There are several peaks in the US named Mt Washington, however, and I am quite confident that George (or Martha) never climbed any of them. 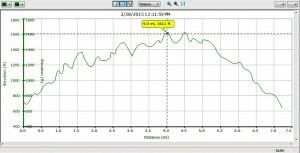 To get to my starting point for this run, head south of town on Rt. 7, east on Cady Rd. 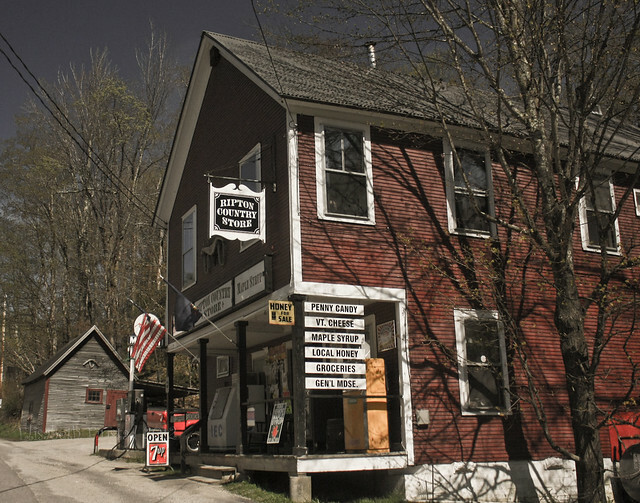 (the road bisecting Foster Motors), and then north on Rt 116 for 0.4 miles until you get to Munson Rd, where you take a right turn. Be careful not to exceed the speed limit here (25 mph) as it has been heavily patrolled as of late. Find yourself a suitable parking place anywhere alongside the road near the four-way stop sign a half mile later to begin the run. Hopefully you can park your car in one of the favorite hiding places of our well-intentioned and hard-working officers of the law, and save this author from another speeding warning! 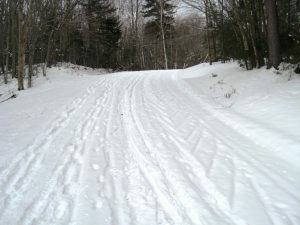 The start for this run is on the snowmobile trail paralleling Burnham Dr., the road heading east towards the mountains from the aforementioned four-way stop sign. 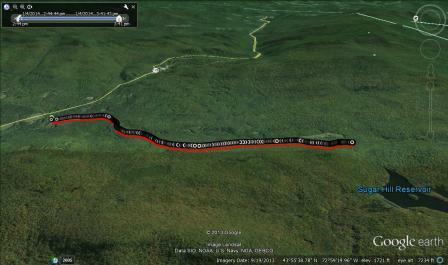 The first 3.4 miles of this run are also described in a previous post, The Toughest Nine Miles in Addison County. This older post has now lost its title. 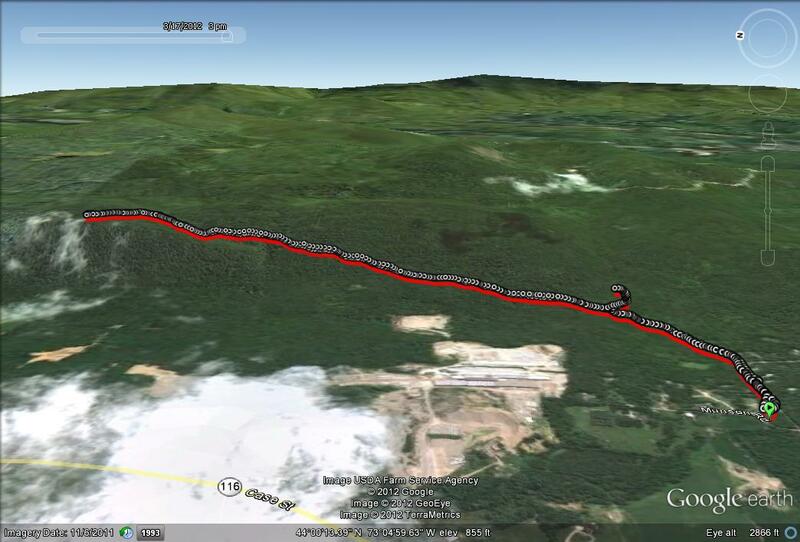 The first two miles of the run follows a VAST snowmobile trail heading north along the west face of the Green Mts, climbing more or less steadily, first through deciduous forest, then into a coniferous forest (which you can make out from the west pretty easily), before climbing back into deciduous again. This is a very pretty section, following a brook much of the way, with a few limited views through the trees. 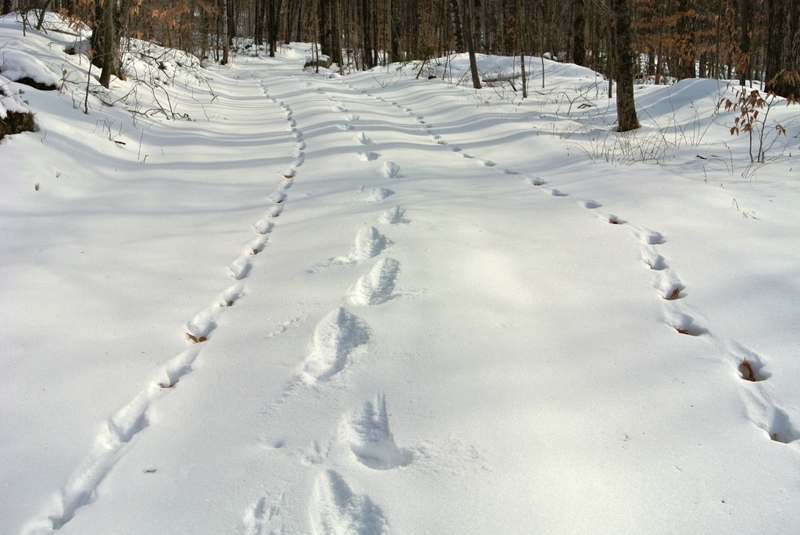 At about 1.5 miles, the trail forks into two equally strong trails, and both will work for this run. I chose the right trail on the way up, as it is a little shorter, but if you miss the trail split and take the left fork, it will connect with the same next trail. The snowmobile trail tops off onto FS 237 (not marked at this point), an obvious but somewhat overgrown forest service road. Take a right turn here (an earlier missed turn will have you coming up to this point from the left) and follow this road until it ends in about a mile and a half, connecting with Dragon Road. Dragon Rd. 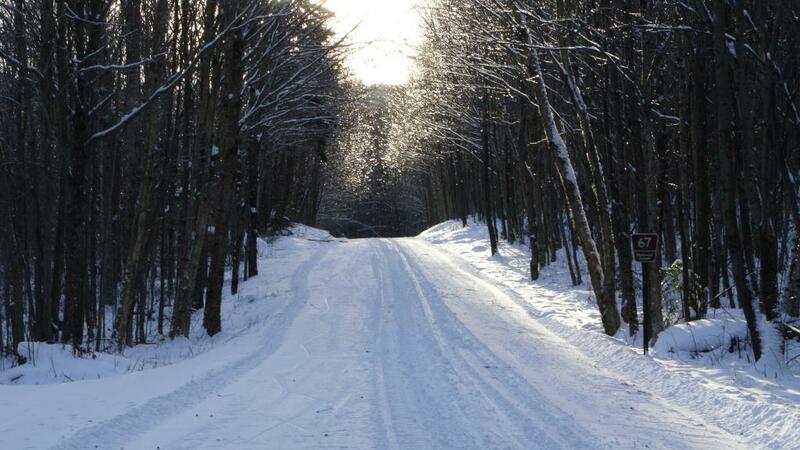 is a maintained dirt road suitable for 2WD cars, but like many of the lesser known mountain roads in Ripton, rarely driven. 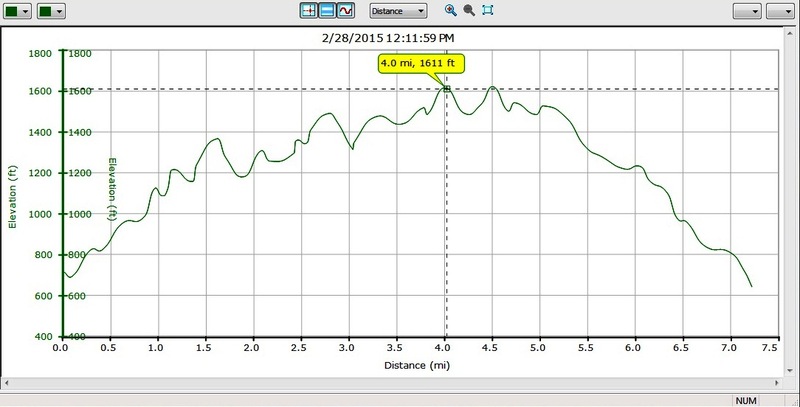 The run I previously described went right from this point, ending the uphill section considerably earlier. Take a left uphill until the road ends after about eight tenths of a mile. There is a small parking lot here, and if you would prefer a much shorter run, or even an easy family hike, you can drive to this point and start here. To get to this parking area, drive into East Middlebury on Rt. 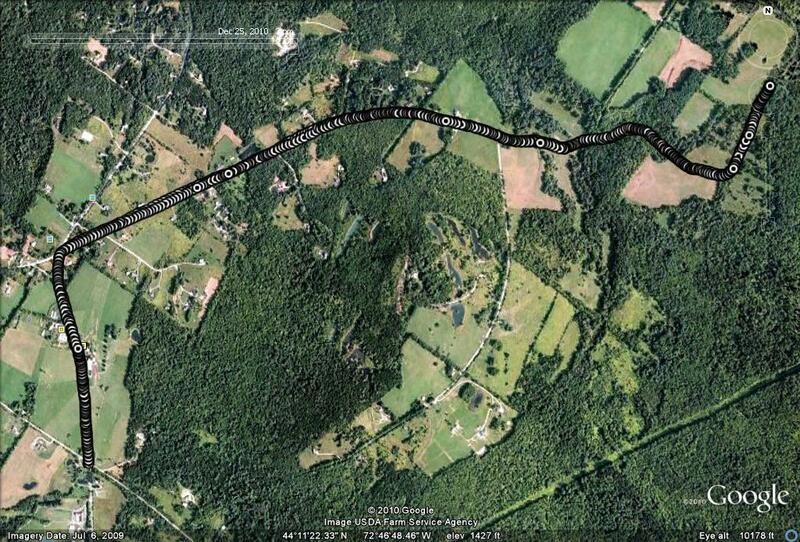 125, turn left on North Branch Road (the slight left at the Rt 125 bridge), and a few miles later, when North Branch Road makes a right, continue straight on Dragon Rd. until the road ends. 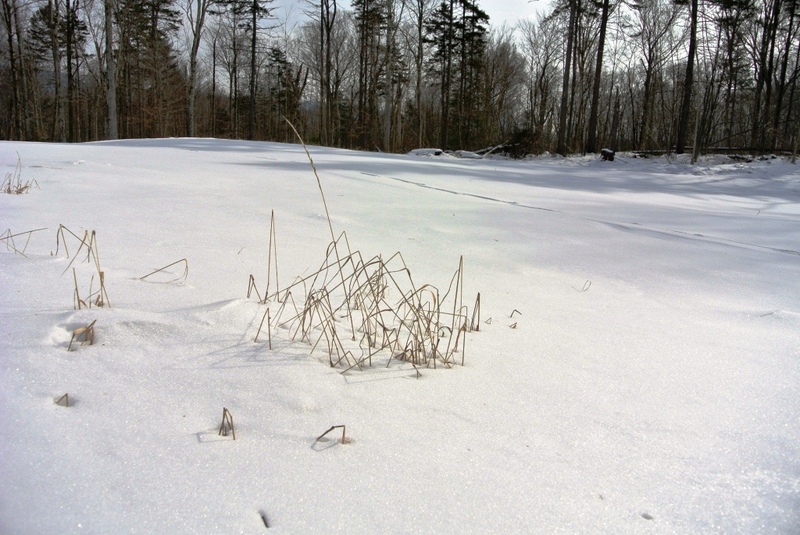 As you enter the parking lot, look carefully to the right to find the somewhat overgrown start to the trail leading to the summit of Robert Frost Mountain in 1.2 miles. This trail gets so little traffic in the summer that you have to walk through tall weeds for 20 or 30 feet before the trail becomes easy to find and follow. You will know you have gone the right way when you see a gate across the trail. From this point, the trail isn’t too bad, other than the fact that it is somewhat overgrown (hence good for resistance training for trailrunners! ), and gets a little steeper as you approach the summit. 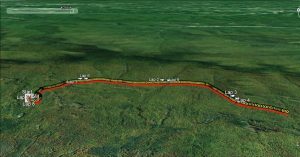 Most of the traffic to this summit clearly is during the winter, when the snowmobilers apparently make it a frequent destination. 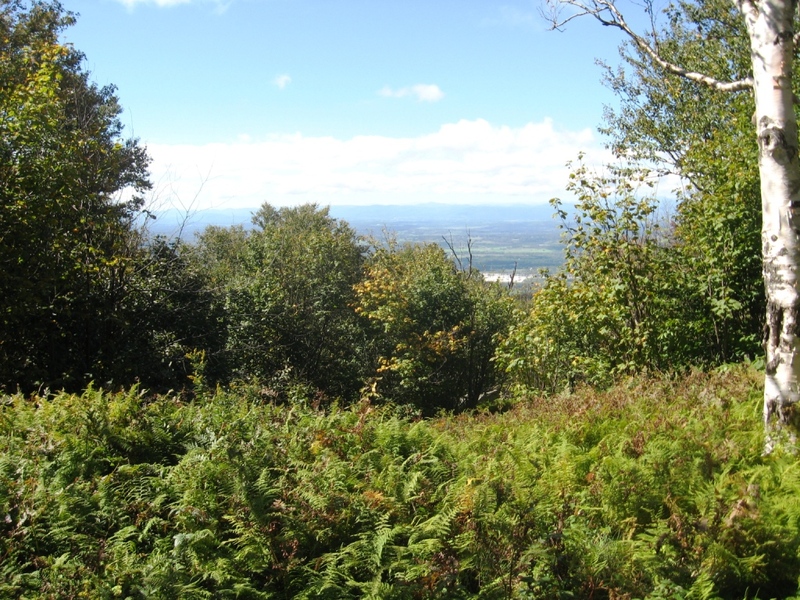 The summit is wooded, but people have cleared a few nice views to make the climb worth the effort. 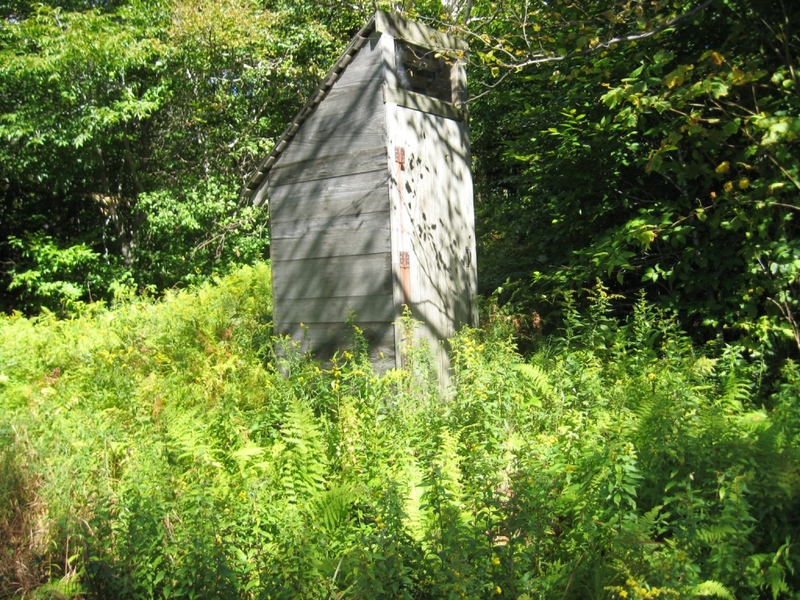 This summit has another unexpected creature comfort – a privy at the summit, which actually appears to be in far better condition than most similarly situated sources of relief. 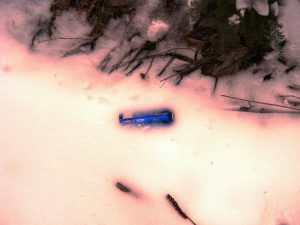 I was somewhat amused, however, by the fact that there were a few empty liter cans of Bud Light strewn about its floor. Go figure. 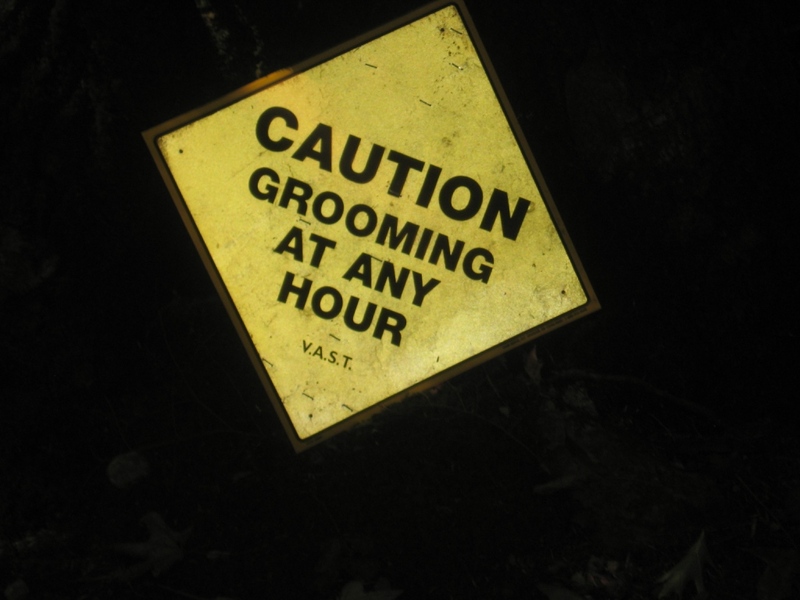 I briefly considered bringing the sign home, and posting it on the door of my teenage daughters’ bathroom, but instead decided to leave this amusing little non sequitor to be discovered by other runners and hikers. 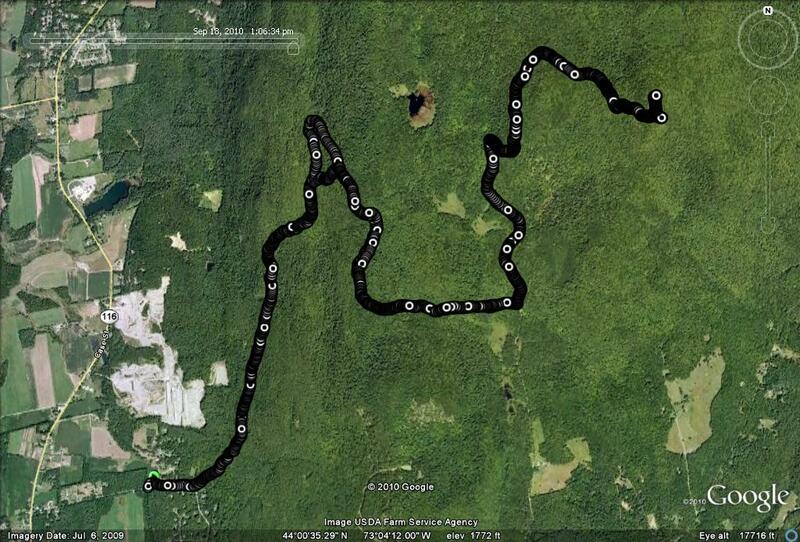 When all was said and done, this was a long hard run, with 11.5 miles of running and 2000 vertical feet of climbing. I don’t usually post my time, but this adventurous run took a while – two and a half hours. 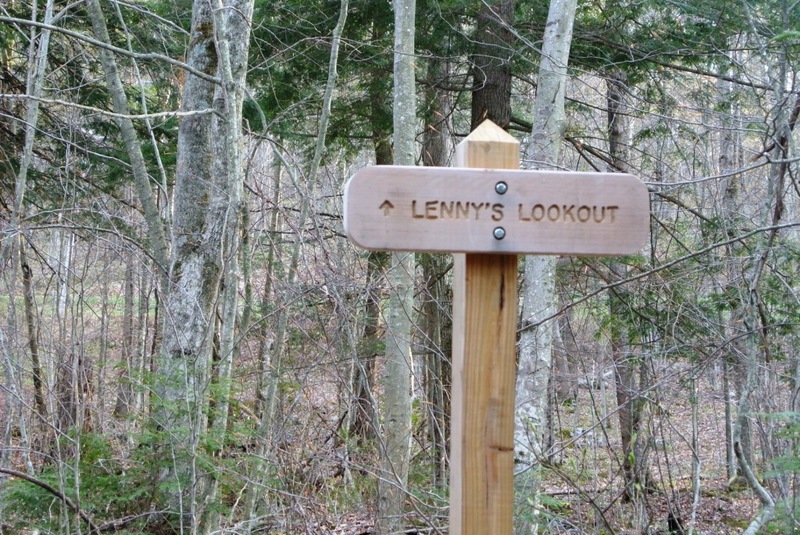 Given the relentlessly pretty woods and decent views, this route would also make a fine day hike as well, either from East Middlebury, or from the higher trailhead. 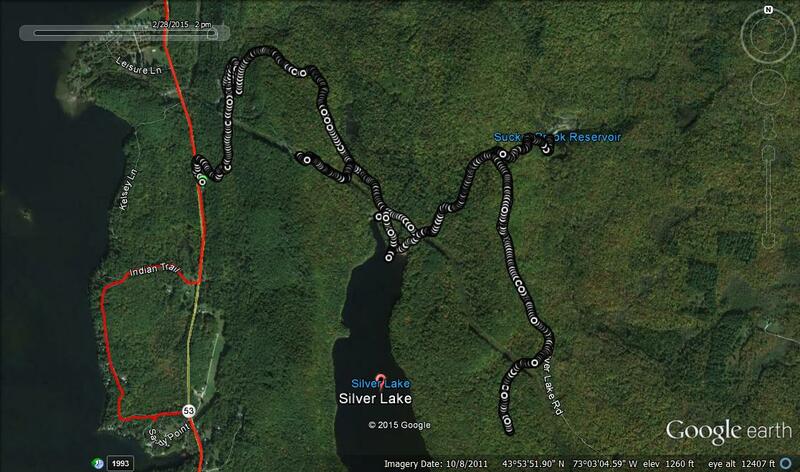 This entry was posted in Midd Blogosphere and tagged Hill Climb, Robert Frost, Running, VAST on September 18, 2010 by Jeff.